Sometimes, a simple technique can work wonders when you want to give a unique look to your graphic design such as poster design. Ink splattering is an easy but impressive technique that many designers use to give a casual look and feel to their designs. Ink splattering technique is relatively simple to follow yet gives you amazing results and proves to be a very useful way, especially when you wish to impress the viewers. 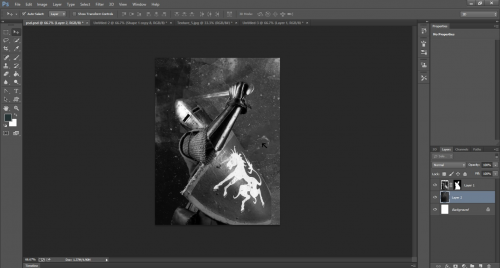 In Part-1 of this tutorial, you learnt how to set the document to create image of the Knight and the technique to give it a faded look. 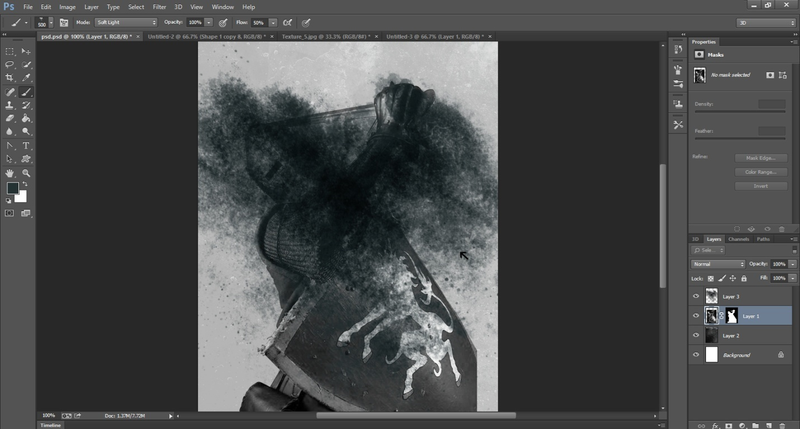 In this 2nd part, we take you through some easy steps to create ink splattering on the elements of the image and implement the technique effectively. 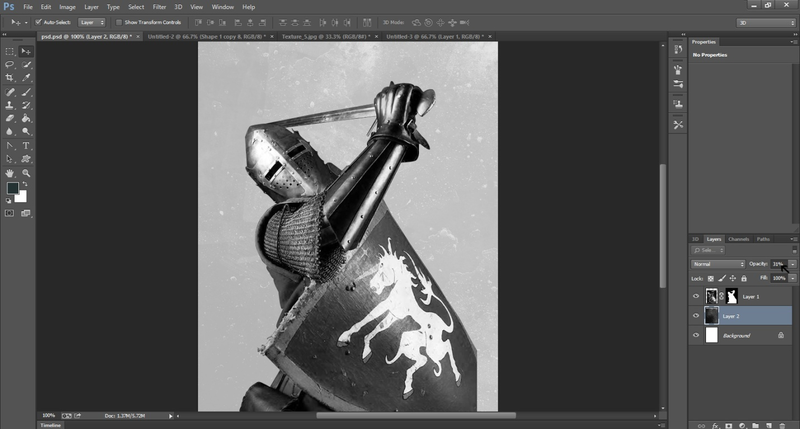 After you have removed colors from the background texture, the image now has a faded look and the texture matches with overall feel of the design. Now hide the background texture temporarily. 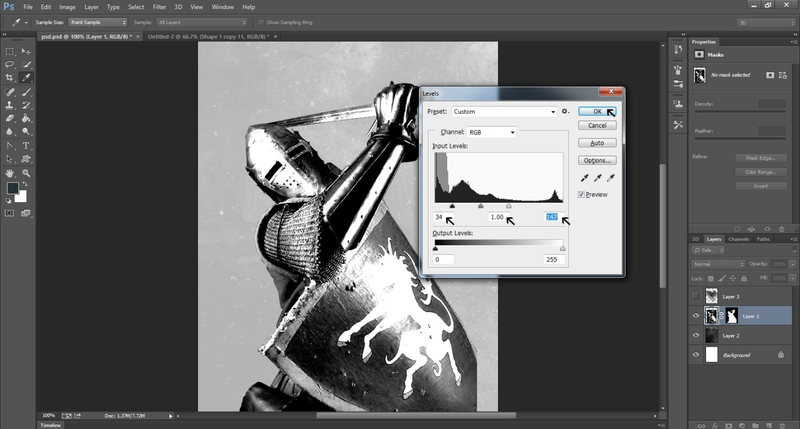 Go to the Brush tool on the left bar and work on the foreground image of the Knight. 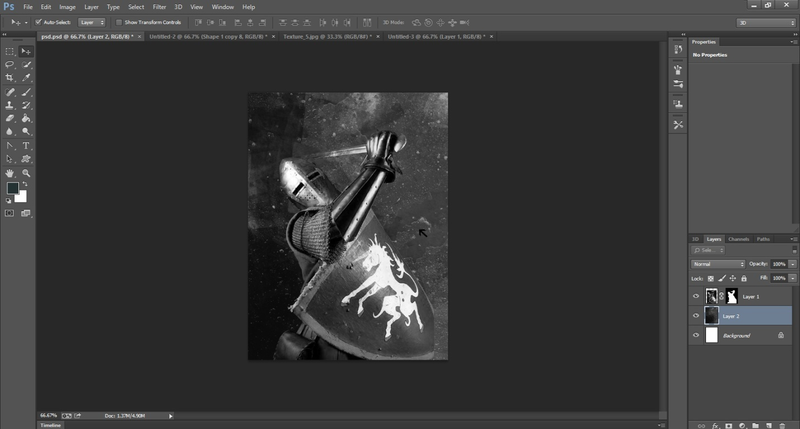 Now, you should be splattering black color over the Knight image with the help of the Brush tool. Make sure that the splattering is even and effective for maximum impact. 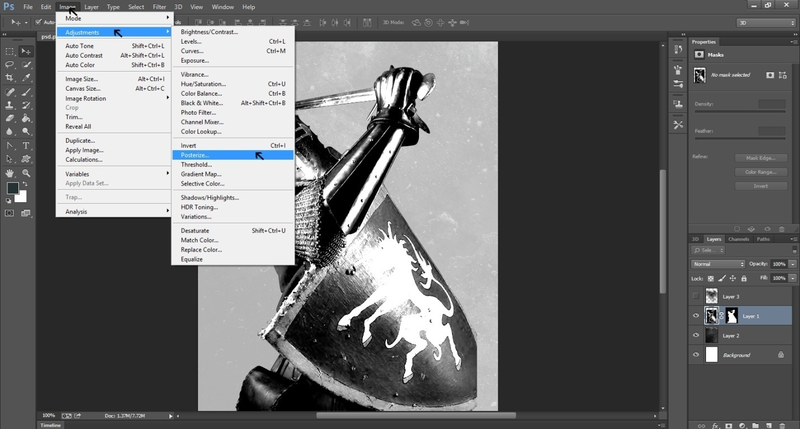 Go to the Image tool and click on Adjustment and then on Levels. 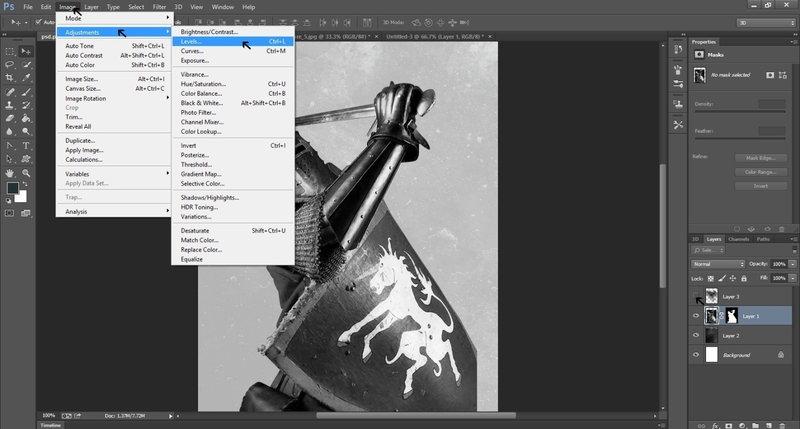 In the Level menu, do set the output and input levels you want for the image. Fill the setting parameters as shown below in the image. 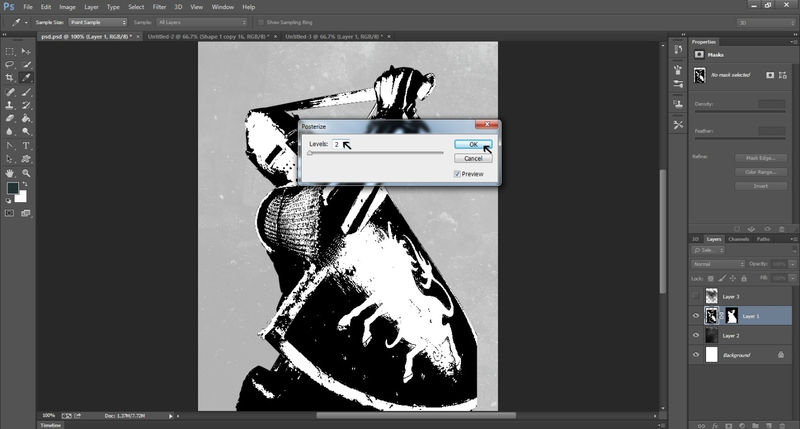 Go to Image and select Adjustment and then Posterize while working on Layer -1. In the Posterize menu, set the level at 2 and click OK. 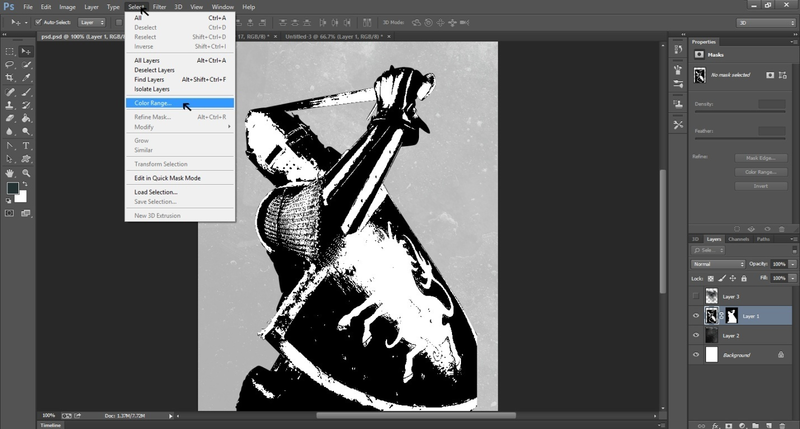 The Posterize tool helps greatly in creating a poster-like visual effect in a design. Here, you can notice that the Knight’s appearance has changed dramatically. Go to the Select button and click on Color Range. Then click white color in the document to select all the white areas.